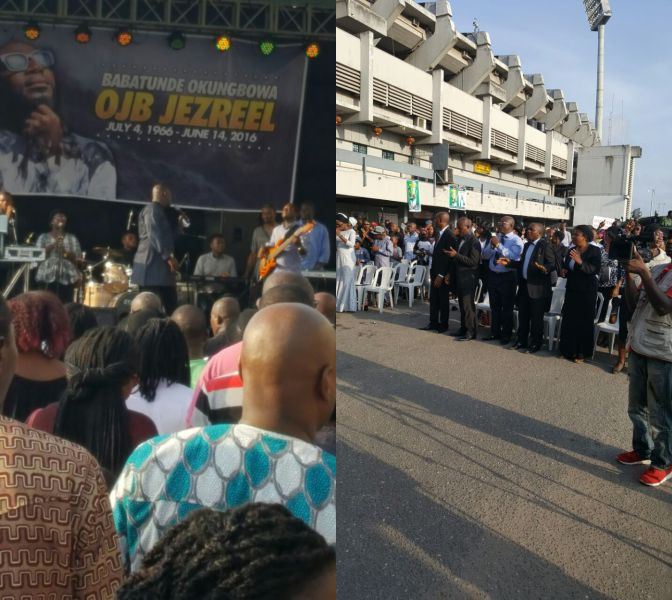 The wake keeping and service of songs in honour of late music producer OJB Jezreel is on at the National Stadium, Surulere Lagos. 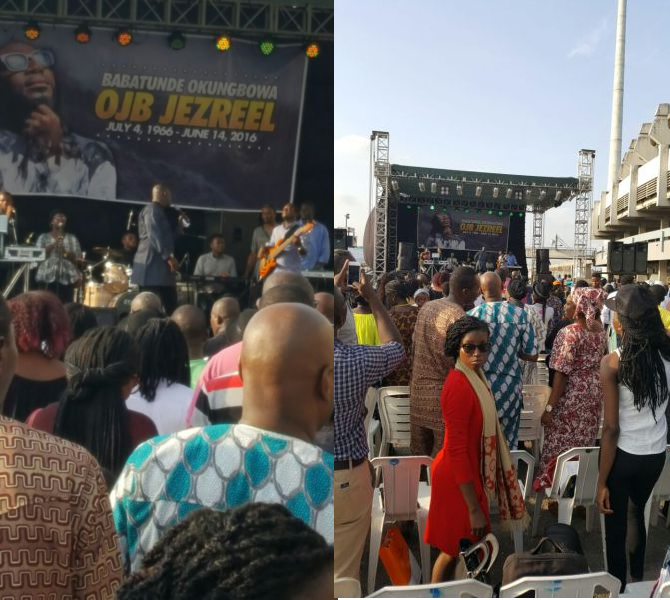 Sammy Okposo led the praise and worship. 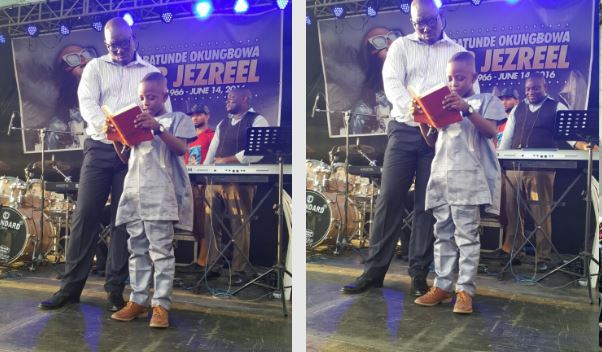 OJB died on the 14th of June, 2016 three years after his successful kidney transplant.